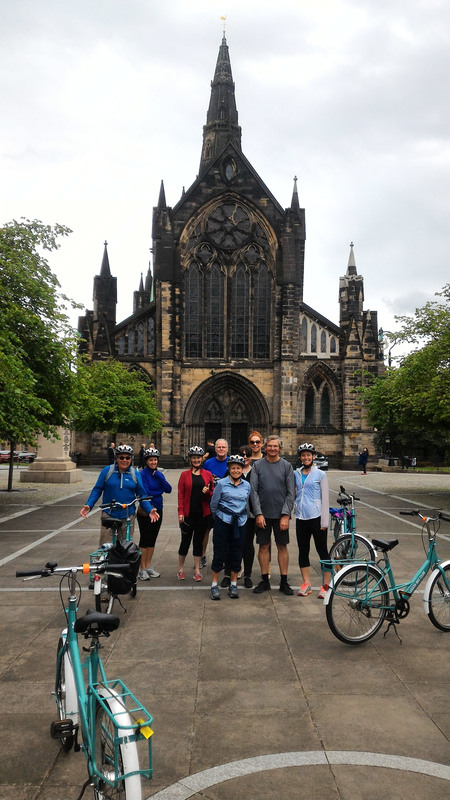 Recently, Glasgow Bike Tours had the pleasure of welcoming Mark Stephen, from Radio Scotland’s Out of Doors programme, to Glasgow for a short pedal around the City. Keith, who founded Glasgow Bike Tours was the guide for the day and started off telling Mark about the bikes that the tours use.The Elephant bikes used to be post office delivery bikes and at the end of their tenure some 5000 were heading for a landfill site. Seeing an opportunity a Shefield based charity took ownership of the bikes to renovate and sell. Now, for every bike sold in the U.K. one is sent to Malawi for local people to use for work or transport. Having been measured up, Mark was pleasantly surprised at how comfortable and easy to ride the bikes were. Following the River Clyde eastwards from the city centre, our first stop on the trip was Glasgow Green, which is home to the People’s Palace, the Doulton Fountain and Nelson’s Monument, all of which are situated close to each other making Glasgow Green an excellent spot to visit. Mark is no stranger to Glasgow, but within minutes he had found streets and places that he didn’t even know existed. From Glasgow Green, Keith and Mark headed north to Glasgow Cathedral and the Necropolis. On the way, Keith explained that he had had the idea for the bike tour, whilst doing a bike tour in Barcelona with the his wife in 2015. 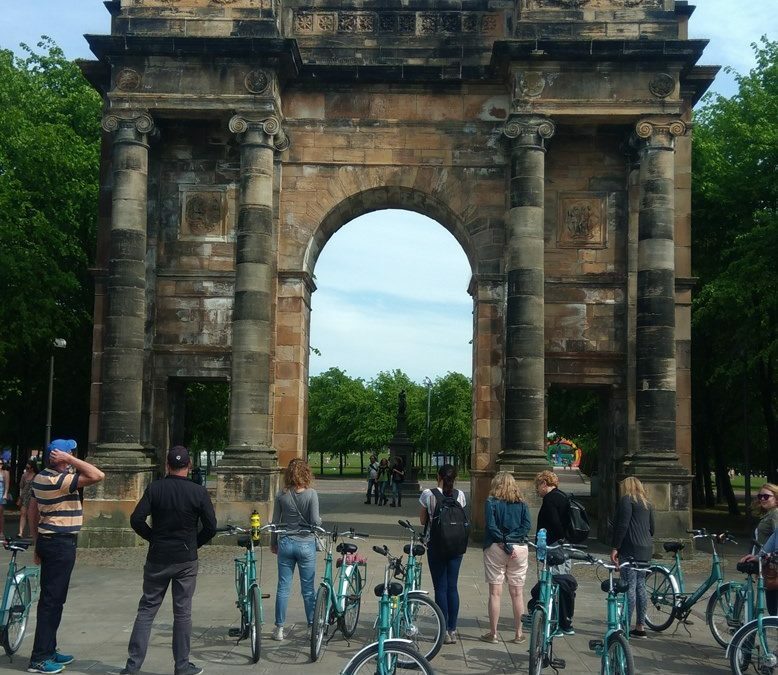 The idea grew over that winter and in April 2016, Glasgow Bike Tours did it’s first tour. And the rest they say is history. Arriving at the Necropolis, Mark remarked on how he felt that the route he had taken had somehow felt flatter and quieter than the route he knew, which was via High Street. This is definitely something that Keith was mindful of when putting the route for the tour together. Having spent a few minutes admiring the unstructured appearance of the Necropolis and the grandeur of Glasgow Cathedral, the pair headed back for a well earned refreshment. If you would like to hear Mark’s adventure as it happened, then you can do so by following this link. and going to minute 59.